Get out of town with these interesting Sydney side-trips: Norman Lindsay Gallery & Museum (in Faulconbridge), Katoomba (Blue Mountains, The Three Sisters, & more) and Gallery Blackheath (in Blackheath). On the 29th (Sun), give your taste buds a day to remember with a local gastronomic tour. Dedicate the 30th (Mon) to wine at some of the top wineries in the area. 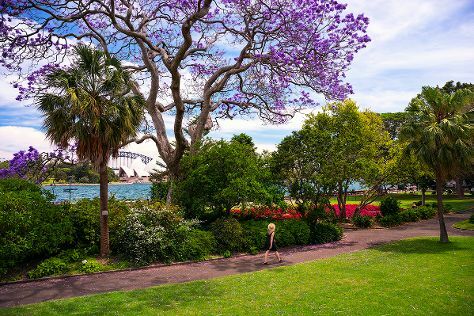 There's still lots to do: take in nature's colorful creations at Royal Botanic Garden Sydney, see a show at Sydney Opera House, kick back and relax at Bondi Beach, and take in the views from Sydney Harbour Bridge. To find more things to do, reviews, other places to visit, and other tourist information, refer to the Sydney trip itinerary builder website . If you are flying in from India, the closest major airport is Sydney Kingsford Smith International Airport. In September, daily temperatures in Sydney can reach 25°C, while at night they dip to 14°C. Wrap up your sightseeing on the 30th (Mon) early enough to travel back home.